What does The Wellness Water Filter protect you from? It’s our goal to provide purification and filtration systems that can remove and reduce as many toxic contaminants as possible without removing all of the healthful and beneficial minerals that your body needs. You rely on your water filter to protect you and your family from the most dangerous tap water contaminants every day. That’s why at Wellness Water we believe that you deserve to know what your filter is actually removing. for water leaving the system, as specified in the NSF 42 & 53 standard. 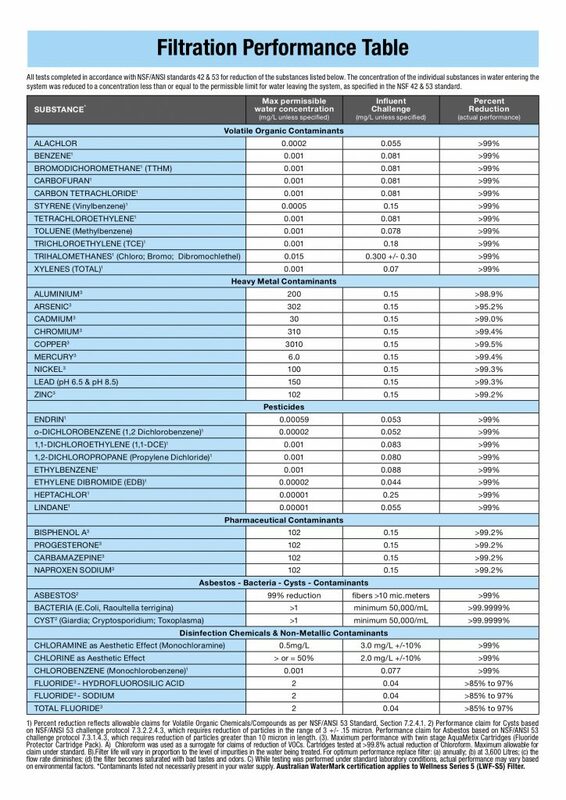 Please review the Performance Data Sheet below for a full list of contaminants the Wellness Filter is certified against.